This month Tiree Tech Wave received £920 to go towards their eighth event on the island. As usual the event was full of interesting and innovative ideas. 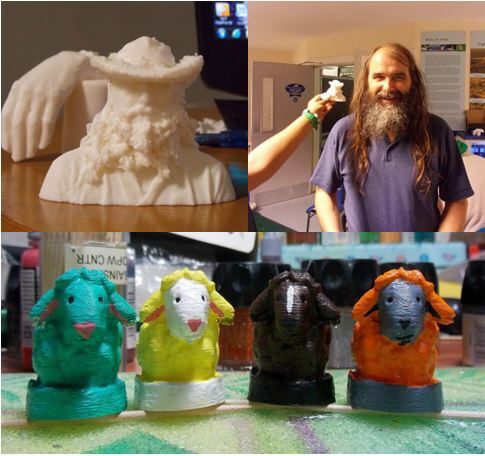 This time the highlight was a 3D printing workshop which allowed all sorts of creations to be fabricated, from Robots to Rabbits, the 3D printer can even print out a replica of someone’s head! In keeping with previous Tech Wave workshops, participants came from all over to attend. The event continues to brings both residents and visitors together to experience something that is perhaps a little different from what the locals are used to. To read more about TechWave and keep up to date with all their news then please visit their website by clicking here.